You Decide is a free digital tool that makes it easier for people to have a say in the decisions that affect them. It has been developed by Knowle West Media Centre (KWMC) and Toshiba Telecommunications Research Laboratory, in collaboration with Bristol City Council, through the IES Cities (Internet Enabled Services) project funded by the EU. Give feedback to the Council and local organisations. 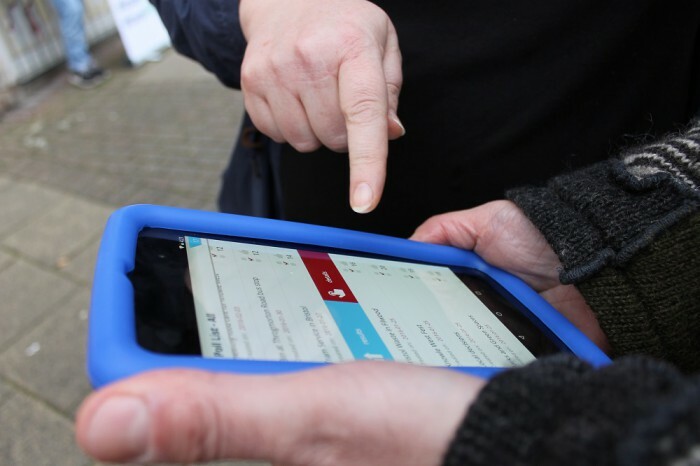 The information gathered through the app is considered alongside responses obtained through other means (such as questionnaires and consultation events). The team behind the app hope that offering a tech-based opportunity for engagement, which complements existing work, will enable more people to take part in decision making, particularly under-represented groups such as young people. Further development of the app is planned, following the end of the IES Cities project in March 2016. Knowle West Media Centre is exploring funding and partnership opportunities to take it forward – if this is something you would be interested in hearing more about, please contact Jen Rolfe at jen.rolfe@kwmc.org.uk or 0117 903 0444. IES Cities worked across four cities in Italy, Spain and the UK to explore how people can use digital technologies and apps to identify and address issues in their area. For more details visit www.iescities.eu and to find out more about the Bristol activity. You can download all of the IES Cities apps from the IES Cities Player on GooglePlay store, using any Android device. Photo courtesy of Knowle West Media Centre.